Julia and Julienne, both minors, were graduating high school students at St. Theresa's College (STC). While changing into their swimsuits for a beach party they were about to attend, Julia and Julienne, along with several others, took digital pictures of themselves clad only in their undergarments. These pictures were then uploaded by Angela on her Facebook profile. Back at the school, Escudero, a computer teacher at STC’s high school department, learned from her students that some seniors at STC posted pictures online, depicting themselves from the waist up, dressed only in brassieres. Escudero then asked her students if they knew who the girls in the photos are. In turn, they readily identified Julia, Julienne, and Chloe, among others. Using STC’s computers, Escudero’s students logged in to their respective personal Facebook accounts and showed her photos of the identified students. Upon discovery, Escudero reported the matter and, through one of her student’s Facebook page, showed the photos to Tigol, STC’s Discipline-in-Charge, for appropriate action. Thereafter, following an investigation, STC found the identified students to have deported themselves in a manner proscribed by the school’s Student Handbook. As part of their penalty, they were barred from joining the commencement exercises. A week before graduation, Angela’s mother, Dr. Tan, filed a Petition for Injunction and Damages before the RTC of Cebu City against STC. Tan prayed that defendants therein be enjoined from implementing the sanction that precluded Angela from joining the commencement exercises. Petitioner Vivares, the mother of Julia, joined the fray as an intervenor. The RTC issued a temporary restraining order (TRO) allowing the students to attend the graduation ceremony, to which STC filed a motion for reconsideration. Despite the issuance of the TRO, STC, nevertheless, barred the sanctioned students from participating in the graduation rites, arguing that, on the date of the commencement exercises, its adverted motion for reconsideration on the issuance of the TRO remained unresolved. Thereafter, petitioners filed before the RTC a Petition for the Issuance of a Writ of Habeas Data. The RTC rendered a Decision dismissing the petition for habeas data. Petitioners then filed Petition for Review on Certiorari under Rule 45 of the Rules of Court before the Supreme Court. Whether or not there was indeed an actual or threatened violation of the right to privacy in the life, liberty, or security of the minors involved in this case to warrant the issuance of the Writ of Habeas Data. The writ of habeas data is a remedy available to any person whose right to privacy in life, liberty or security is violated or threatened by an unlawful act or omission of a public official or employee, or of a private individual or entity engaged in the gathering, collecting or storing of data or information regarding the person, family, home and correspondence of the aggrieved party. It is an independent and summary remedy designed to protect the image, privacy, honor, information, and freedom of information of an individual, and to provide a forum to enforce one’s right to the truth and to informational privacy. It seeks to protect a person’s right to control information regarding oneself, particularly in instances in which such information is being collected through unlawful means in order to achieve unlawful ends. In developing the writ of habeas data, the Court aimed to protect an individual’s right to informational privacy, among others. A comparative law scholar has, in fact, defined habeas data as "a procedure designed to safeguard individual freedom from abuse in the information age." The writ, however, will not issue on the basis merely of an alleged unauthorized access to information about a person. Availment of the writ requires the existence of a nexus between the right to privacy on the one hand, and the right to life, liberty or security on the other. 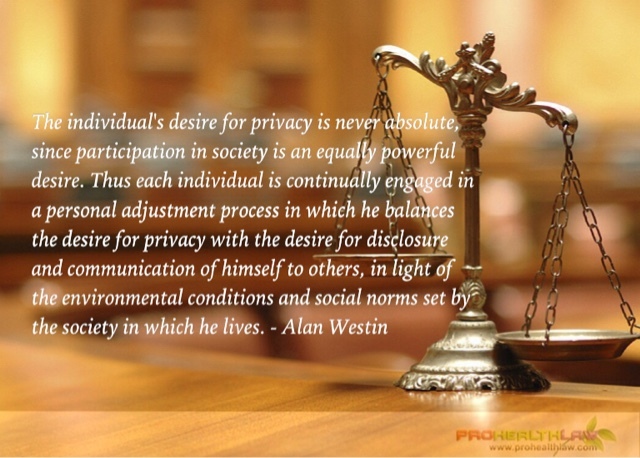 Thus, the existence of a person’s right to informational privacy and a showing, at least by substantial evidence, of an actual or threatened violation of the right to privacy in life, liberty or security of the victim are indispensable before the privilege of the writ may be extended. In this instant case, respondents did not violate petitioner's right to privacy. Before one can have an expectation of privacy in his or her OSN activity, it is first necessary that said user, in this case the children of petitioners,manifest the intention to keep certain posts private, through the employment of measures to prevent access thereto or to limit its visibility. And this intention can materialize in cyberspace through the utilization of the OSN’s privacy tools. In other words, utilization of these privacy tools is the manifestation,in cyber world, of the user’s invocation of his or her right to informational privacy. Therefore, a Facebook user who opts to make use of a privacy tool to grant or deny access to his or her post or profile detail should not be denied the informational privacy right which necessarily accompanies said choice. Even assuming that the photos in issue are visible only to the sanctioned students’ Facebook friends, respondent STC can hardly be taken to task for the perceived privacy invasion since it was the minors’ Facebook friends who showed the pictures to Tigol. Respondents were mere recipients of what were posted. They did not resort to any unlawful means of gathering the information as it was voluntarily given to them by persons who had legitimate access to the said posts. Clearly, the fault, if any, lies with the friends of the minors. Curiously enough, however, neither the minors nor their parents imputed any violation of privacy against the students who showed the images to Escudero. In sum, there can be no quibbling that the images in question, or to be more precise, the photos of minor students scantily clad, are personal in nature, likely to affect, if indiscriminately circulated, the reputation of the minors enrolled in a conservative institution. However, the records are bereft of any evidence, other than bare assertions that they utilized Facebook’s privacy settings to make the photos visible only to them or to a select few. Without proof that they placed the photographs subject of this case within the ambit of their protected zone of privacy, they cannot now insist that they have an expectation of privacy with respect to the photographs in question. Had it been proved that the access to the pictures posted were limited to the original uploader, through the "Me Only" privacy setting, or that the user’s contact list has been screened to limit access to a select few, through the "Custom" setting, the result may have been different, for in such instances, the intention to limit access to the particular post, instead of being broadcasted to the public at large or all the user’s friends en masse, becomes more manifest and palpable. In finding that respondent STC and its officials did not violate the minors' privacy rights, The Court finds no cogent reason to disturb the findings and case disposition of the court lower court. RHONDA AVE S. VIVARES and SPS. MARGARITA and DAVID SUZARA, Petitioners, vs. ST. THERESA'S COLLEGE, MYLENE RHEZA T. ESCUDERO, and JOHN DOES, Respondents.